From the "where are they now files" we find Kenny McGee, a soulful vocalist and the mastermind behind the band Julliet. Kenny's first solo release is a collection of ballads and hard-hitting rockers. The album is the vein of Poison and other late eighties and early nineties favorites. This disc is a melodic masterpiece sure to have you singing right along. Kenny and his band Lefty have been busy writing and recording new material for a new album. Kenny tours extensively throughout the Florida area. 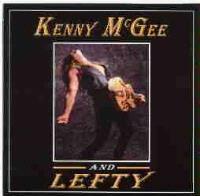 For more information on Kenny McGee and Lefty or to purchase this album check out his very cool website www.KennyMcGee.com. "Don't Ya Worry" is a hard rocking track and album opener. It features a melodic chorus and catchy lyrics. "Can't Say Goodbye" is an awesome ballad that could easily fit onto the Monster Ballads compilation disc. This is a strong number and sets the pace for the rest of the album. This is a mid-tempo rocker with Kenny's signature vocals intact. Kicking off with a killer guitar solo, this one then slams into a catchy rocker. It is sure to have you singing right along. 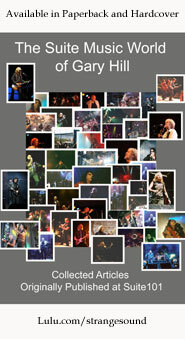 "Something In Your Smile" is a bluesy rocker reminiscent of Great White. In this cut, music flows together nicely. Until you get to the chorus where there is such a strong feelings and emotions are felt. A fun party song, this track resembles Kenny's work with Julliet. This one is a catchy up-tempo ballad. Kenny seems to do ballads well, with such heart and emotion. Starting off as acoustic this one then drives into a heavy rocker. Miss Virginia is a fun song with a story to go along with it. "Witches Brew" is the hardest track on the album and is done very well. It features a heavy guitar riff and screaming vocals. This slow acoustic track features Kenny doing what he does best.